China has approved an extended 3-year programme aimed to decrease the coal consumption in 82 cities by year 2020 by 5-10% as compared to the 2016 level, the Russian business newspaper Vedomosti informs. This may lead to a significant drop in coal prices by 2020-2021. The average coal price in the first 6 months of 2018 was USD 103/ton, whereas following the Chinese consumption cut this may collapse to USD 52-69/ton, warns the publication. According to Vedomosti, this initiative is one of the measures that China has been taking during the several past years in order to improve its ecology. The country has been reforming its metal production and energy sectors. One of the key points in the Chinese ecology programme is to transform the city communal services from coal to gas. This trend is confirmed by the coal import restrictions that China imposed in mid-April in several ports, including Xiamen, Quanzhou, Meizhou, Zhoushan and Ningbo. 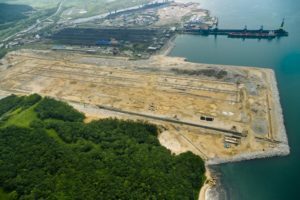 These restrictive measures differ from tightened customs clearance procedures up to bans on berthing and unloading of vessels with the polluting fuel. According to Reuters, the restrictions were aimed at supporting domestic coal prices and encouraging local production.This has already led to a growing number of coal carrying ships left idle off the southern ports of China. Thus, on 20 July 243 ships loaded with coal were stationary off the coast of China, Port Strategy informs quoting the Platts cFlow vessel tracking service. These include 25 lying idle in the Hong Kong regional vessel queue, 13 in the Ningbo/Zhoushan anchorage area and 6 in the Rizhao queue. Obviously, this number of idle vessels has risen significantly since the previous round of port restrictions imposed at the end of October 2017, when there were 102 idle ships. China accounts for a half of the global production and consumption of coal. In 2017, the country imported 188.3 mln tons of various types of coal (+2.7% to 2016), informs Vedomosti referring to China’s customs statistics. The average price was USD 99 per ton. Australia is the biggest coal exporter to China: 79.91 mln tons, followed by Indonesia (35.28 mln tons) and Russia (25.31 mln tons). USA exported 3.17 mln tons. The current tendencies in China may hugely affect not only the spot prices, but also the trade patterns and port projects. 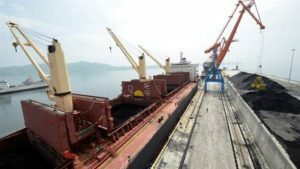 Thus, in view of the growing exports to China, Russia has been recently developing a number of coal terminals in the Far East at the ports of Vostochny (Phase 3 of the Coal Terminal will increase the port’s coal handling capacity up to 39 mln tons by 2020), Vanino (capacity 24 mln tons per year), new coal port in Sukhodol Bay near Vladivostok (capacity 20 mln tons per year).